Canso FNJE gets a JATO! JATO (Jet Assisted Take-Off) rockets came in many types and were used to shorten the takeoff of aircraft in short field or overload conditions. They were among the first practical applications of rocketry, and much early development of rocket technology by JPL, Aerojet, Goddard, and others was devoted to JATO applications. 1943 May 1 - . Launch Vehicle: JATO. JATO tests. - . Nation: USA. Summary: A PBY Catalina (same as a Canso), fitted with two liquid-propellant JATO rockets developed at Annapolis, took off with 20 percent reduction in run. Liquid-propellant JATO was abandoned by Navy in 1944. Where did we get a JATO? Of course, I said YES, we would really like to have the Jato for our yet to be established Air Museum. We look forward to meeting Tom next summer and giving him a tour of the project.. Check out the photos that Tom sent on the front page. "In Fairview, near Peace River, a group of farmers have formed a non-profit society to rebuild a 1943 Canso. The Second World War patrol bomber was used to protect Allied convoys from U-boats and was later converted to civilian use as a water bomber to fight forest fires. 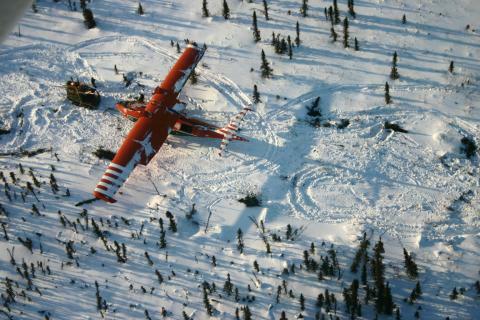 The Fairview group dragged the Canso out of the wilderness near Inuvik in the Northwest Territories, hauled it 2,500 kilometres to Fairview, and are raising $250,000 on their own to restore it, including $100,000 of their own money." For much of the last half century they sat abandoned in storage, gradually deteriorating without proper protection or care. Now, two city-owned vintage aircraft will be restored, after city council decided Monday to forge ahead and pour up to $800,000 into the project: whoever wins the tender will have two years to raise matching funds and must have a volunteer component. In sorting out the fate of the de Havilland Mosquito and Hawker Hurricane, council pushes forward on what's been a simmering dispute over what should happen with the two aircraft, which have been owned by the city since 1972. Did 3-4 hrs rib stitching this evening and Norbert got fabric glued on the 2nd stabilizer tip. About 5 ribs left to stitch on the first elevator. Kind of nice, relaxing work. Canso FNJE gets new fabric! Work at the fabric shop is off to a very good start. The Canso Crew has been hard at it through out the last week and will have another work-bee tonight. Prep work and taping is done and a lot of the fabric has been stretched in place. Ironing to tighten the material and then stitching is the next order of the day. Check out the six new photos on the first (HOME) page - more to follow. Well, it's happened again. We were in desperate need of a place to heat treat some newly made parts for the nose of the Canso. The heavy gauge aluminum has to be softened by a heat treatment, formed into the shape required and then heat treated again to harden the pieces. Mark Bach, our structural engineer, had made all the pieces but we couldn't find a place to do the heat treatment so we couldn't finish the repairs to the nose of FNJE. Ultimately, Don Wieben contacted Pyrotek Aerospace & Commercial Heat Treat Processing in Abbotsford, BC and arranged to have the pieces shipped there for processing. Certified heat treatment is a very expensive process so we were concerned this would really add to restoration costs. No need to worry - please see the email below from Jim Matheson, President of Pyrotek. Fantastic project! I browsed through your website, quite impressive. What an important part of our Canadian aviation history your society is working to preserve for all Canadians. Certified heat treatment can be a costly aspect of aerospace part production, but Pyrotek would be proud to join with Fairview Aircraft Restoration Society and offer our heat treat services at NO CHARGE. Pyrotek will continue to provide our full support for any future heat treat services that the Canso project may require. We do have one small snag. Pyrotek does not keep credit accounts with shipping companies as shipping is not a normal part of our service. Could you please provide us with your Purolator account number and what return Purolator shipping service you require (overnight, regular etc) We would be happy to cover these costs per a donation to your society. Many thanks to the Canso Crew in taking such an interest in Canadian Aviation history. Looking forward to the possibility that the Canso will take to the skies and fly at the annual Abbotsford Air Show, one of the larger and longest running air shows in Canada. The Canso Crew would sincerely like to thank Pyrotek for their support and encouragement!! Well, we have now taken over a third farm shop - this one belongs to Norbert Luken, one of the Canso Crew who went to Inuvik on the salvage mission. Norbert offered his shop for a few months to do the fabric replacement work on the elevators, rudder and stabilizer tips. We needed a warm, well lit and clean space to do the fabric work and all the painting - and his shop really fills the bill perfectly. Check out some the photos on the first page of the website to see the Canso Crew in action, taking things apart. Canso FNJE is in the NEWS! It's really amazing what publicity will do for a project. It started again on Christmas Eve when the CBC radio program, alberta@noon with Donna McElligott, did a re-broadcast of an interview with Don Wieben and Henry Dechant from earlier in the year. At that time, Donna asked the guys how things were going with Phase II of the project. Last week's guest host of the program, Holly Preston, said a couple of times that "this was one of their favorite interviews of the year". We had three times the usual number of hits on our website that day! On New Years' Eve 2010, Keith Gerein of the Edmonton Journal listed his interview with the Canso Crew as "one of his most memorable interviews of the year". Keith wrote an excellent article last year that ran in not only the Edmonton Journal and Calgary Herald but also in several of their affiliates. EDMONTON There are quilting bees, spelling bees and even baking bees. Wednesday nights in Fairview are reserved for Canso bees. At least that's the term being used to describe the activity inside a workshop near the northwestern Alberta town, where a group of farmers gather each week to restore their pride and joy: a Second World War-era Canso aircraft. All of this recent activity has seen the hits on the website climb to over 250 new visits per day from all over the world. It's amazing! The Canso Crew thanks everyone for your interest in the savethecanso project. My New Year Resolution is to update the blog at least once a week for 2011. It does take time but there is alway something to report. Stay tuned! Our latest email contact was from Albert Frost, of Inuvik, NWT. Albert is the local Gwitchin trapper who was our guide and helper during the salvage of the Canso PBY from the banks of Sitidgi Lake, about 40 km east of Inuvik. Albert hunts in this area, in fact the route he helped choose across the lake and through the tundra to get to the Dempster Highway, went right past his cabin. Albert was a tremendous help with everything from breaking trail with his sled to showing up at camp with pork chops for supper and bringing some old carpet for the floorless walled tent. Don Wieben responded to Albert's email and told him to keep his fishing rod handy for a fishing trip back to Sitidgi Lake during our Epic Journey, when the restoration is complete. The Canso Crew wishes the very best for 2011 to everyone who is following the progress of the restoration, Albert Frost, and all the other people who helped us in Inuvik. I found your Save the CANSO website while doing some research on my grandfather. My grandfather, Sgt Alex G King, was the flight engineer on your particular Canso on seven uneventful missions over the Atlantic. At least thats what his Flying Log book states anyway. Also of note is that he flew several missions with Flt Lt Jim McRae on this aircraft and several other Cansos. Alas he passed away in 1979. But I thought your team may find this info interesting. Thanks for your email, Roy, with the attached pictures. My log book only records the names of the pilot and co-pilot so I couldn't do a complete check. However, I managed to find some crew lists that do apply. Towards the end of 1944 I brought Canso 9791 back to Canada from Iceland. We took off from Reykjavik on 26 Dec. but were recalled after about 2 1/2 hour due to weather. On the 29th we made it to BW1 in Greenland and on the 30th we completed the trip to Scoudouc, NB. Here's a list of that crew. Myself, pilot - ,Reg Clarke, co-pilot - S/L Jim Thompson, Navigator - P/O O'Donnell - F/O Jim Somerville - Sgt. Brackney - F/S Wagner - Sgt KING, and Wo2 Wright. That must ring a bell, Andrew. Quite a few of those names appear on the pictures you sent. Andrew, would check your grandfathers log book to see if he flew with Danny McNamara or Howie Thom. I believe that part of Danny's crew were with me on the trip back to Canada noted above. McNamara was scheduled to make that trip but couldn't, due to medical problems. The pilot kneeling second from the left in the picture without mae wests looks like him. I knew Sommerville quite well, and I played bridge in the mess quite often with Howie Thom. I didn't get to know many of the others too well. I hope you have a nice Christmas and New Year. Our list of people who have at one time or another been part of a flying or maintenance crew on 11094 continues to grow. We are very happy about being able to record this information as it is such an important part the story of 11094/C-FNJE. Don't forget to check out the WAR YEARS button. Nose Wheel Doors and much, much more! Don and Marg Wieben just got back from a trip to Nanaimo, BC where they met with Steve Butler, who has purchased the Canso C-FNJB that has been sitting there at the airport for many years. Their discussions lead to the purchase of most of the contents of the old Sea-Can full of parts that sat near the aircraft for years. Mr. Butler had done a great job of sorting through the parts and getting them up on shelves so Don was able to find a number of items that we need for our restoration program - most notably a pair of new nose wheel doors - the one's on our Canso FNJE were badly damage at the time of the accident on Sitidgi Lake, NWT while attempting to pickup a load of water while fighting nearby forest fires. Please check out the new You Tube on the front page where Don talks about the doors. Canso Crew visit with former 11094 (now C-FNJE) pilots! A few weeks ago Don & Marg Wieben and Joe and JoAnne Gans traveled to Nova Scotia and had the pleasure of spending time with James M McRae, who flew the aircraft during WWII with 162 Sqdn on anti-submarine missions and Peter Austin-Smith who flew 11094 some 10 years later. Don was able to tape record many of the stories these two veterans had to tell and we hope to be able to share them with you through the webpage. Hello Doug: I would be very pleased to have some of the photos on your website. I should give you a bit more info. regarding them. First, all my experiences with the Canso were with 408 Sqdn out of Rockcliffe, Ontario, 1955 until the summer of 1957 when I flew Cansos with 102 Comm and Rescue Flight at Trenton, Ontario. (Flew Daks and Expeditors at same units.) My experiences flying 094, were of course, 10 to 11 years after Jim McRae flew it while on 162 Sqdn. As for the photos, the first showing 094 pulled up on a beach is one I found somewhere but can't remember, so you should note that it is source unknown. You will note the modified main rear hatch which was standard on Cansos used for supply and transport. The picture of 9815 on the water shows the hatch in more detail. As you are aware, 9815 is in my mind, an historic a/c as it is shown on the dust cover of vol 2, of The Creation of a National Air Force, The Official History of the Royal Canadian Air Force, 1986. Sadly, this a/c was left to deteriorate on Vancouver Island. The next picture of the nose of 094 shows me and my nav, George Baker, goofing around at St.Jean,PQ where a/c were taken for overhaul. Note the bubble on the nose located above the nav. compartment. This was usually replaced (not always) with a flat plate window on takeoff and landing as the nav. could not stay in the nose compartment during those maneuvours. The a/c (11091) anchored on the water was taken at Ft.Albany. The next photo of 11087 shows again the rescue configuration of the Canso. I should state that all Cansos at that time required a flight engineer as most engine controls were in the tower, the engineers compartment. We communicated via intercom and by a series of toggle switches and lights on the yoke which as you know, spans the cockpit. Finally, the last blurred picture is of yours truly at the controls of a Canso. I believe Joe Gans, while here with Don, took down the title of a wonderful book on postwar Cansos. It is the Consolidated PBY Catalina, The Peacetime Record. It is well worth having. Canso nights are our work-bee nights - and after a long dry summer we are back at it every Wednesday night for 3 or 4 hours. Usually we have 5 to 10 guys show up to work on the aircraft restoration - everything from scraping paint and cleaning to fabric and metal work - lots of variety. The structural work by our structural engineer, Mark Bach, goes on every day with drop-in help from a few of us, when available. A few weeks ago I received an email from Mr. Mel Lowther from Kamloops, BC and below he tell the story of the 24 remaining Cansos leaving Iceland, returning to Canada in 1945! Check out our new button on the home page "War Years" to see the camp sign at R.C.A.F. station in Reykjavik, Iceland during WWII. KWITCHERBELLIAKIN - it's pronounced "Quit Your Belly Aching" - later renamed Camp Maple Leaf. My son found your web site and e-mailed it to me. I was a airframe mechanic in the RCAF. On Feb. 12th 1945 I was posted to 162 squadron in Reykjavik Iceland We had 25 Canso's, On April 3rd we lost 11066. When the war ended we were busy preparing the 24 Canso's for their return flight to Canada. Most of us stayed up till midnight to see them all take off. At midnight when the first Canso took off, the sun had just set below the horizon.They took off 3 minutes apart, when the last one took off the sun just started to rise. I didn't know they had modified any to water bombers. Do you plan on restoring 11049 to a water bomber, or back to the original? Well, summer is over - harvest is complete for most of us and Mark Bach, our structural engineer, is back to work tomorrow, Sept. 21. It was a busy summer - we put the wing on the aircraft to test the fit (it fit like a hand in a glove) - then we took the wing right back off and put everything back in the shops - then we held a very successful fund-raising FLY-IN breakfast and then we almost acquired engines and props!